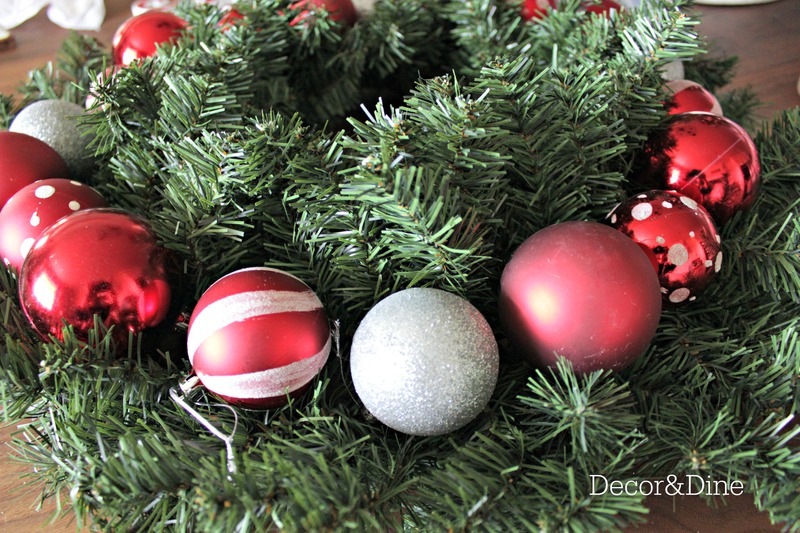 While decorating the farm for the Holidays I decided I needed another wreath…SURPRISE SURPRISE!! I have a closet full of Christmas decorations so this was fairly easy to pull together. 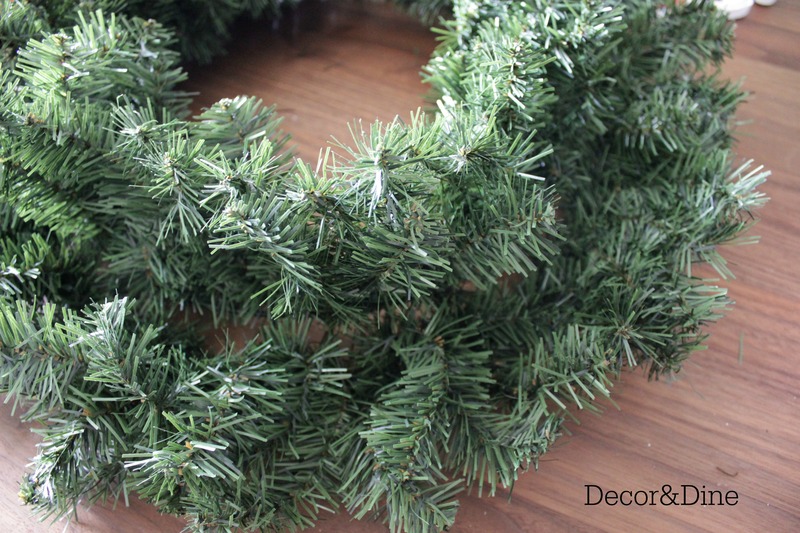 Step 1: Get yourself an artificial Christmas wreath. These are great to get on sale at the end of the season…I found mine at the back of the closet. Step 2: Decide on a colour scheme. I went with red and white because I had a bin of extra Christmas balls in that colour. Step 3: My artificial wreath had two sections so it was easy to separate, making room in between the two sections to attach the ornaments. 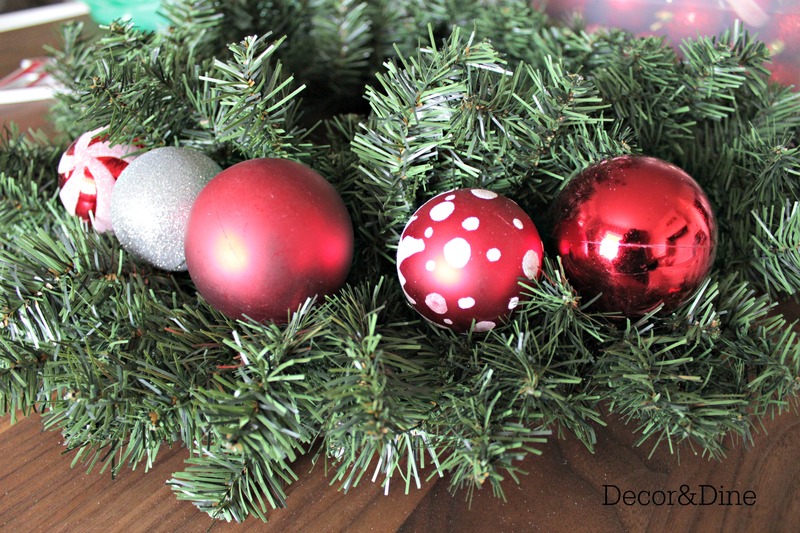 If your ornaments have different designs or colours place them on the wreath, playing around with them until you are happy with the look. 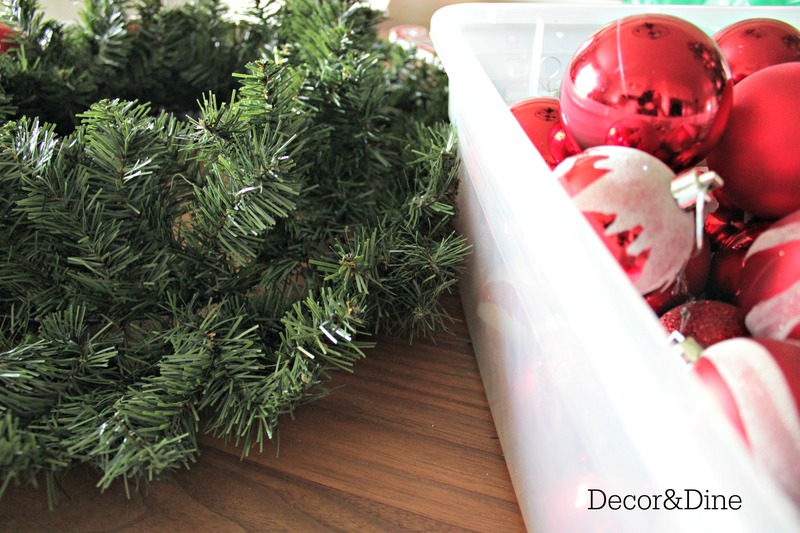 Step 4: Add a wire to each ornament. 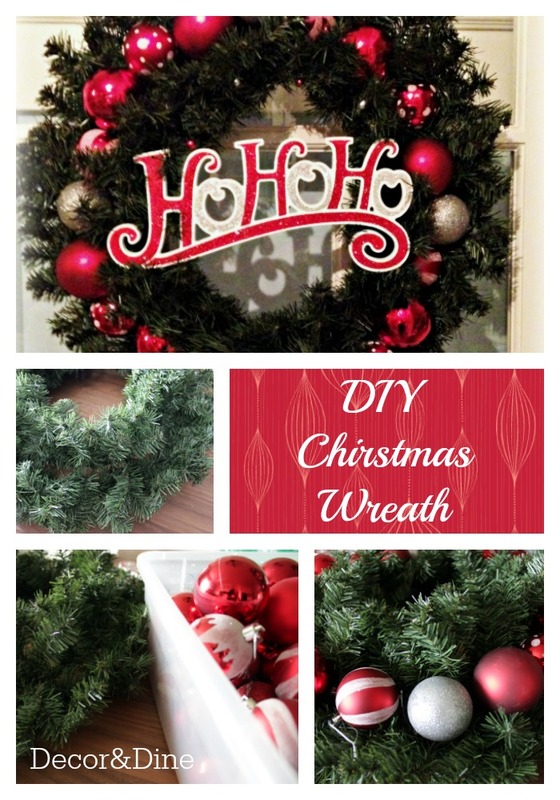 Step 5: Attach the ornaments around the centre of the wreath by twisting the wires to the wreath form. 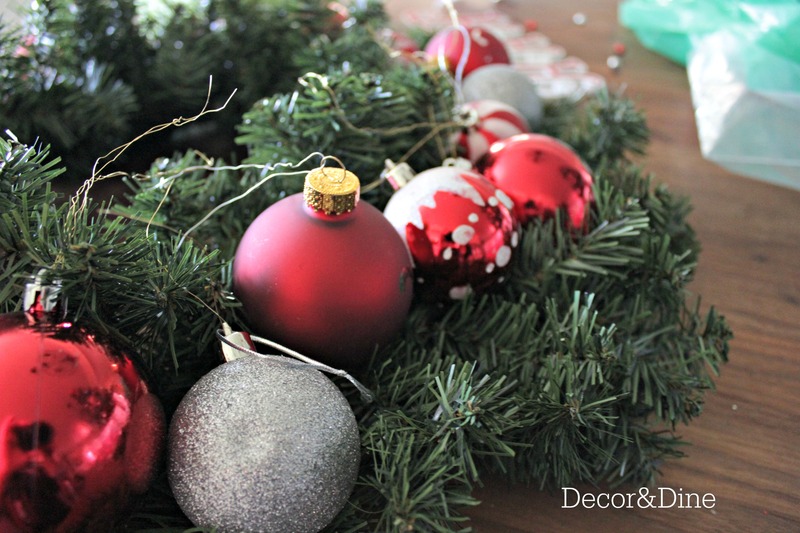 Finish your project by fluffing the artificial greenery around the ornaments. 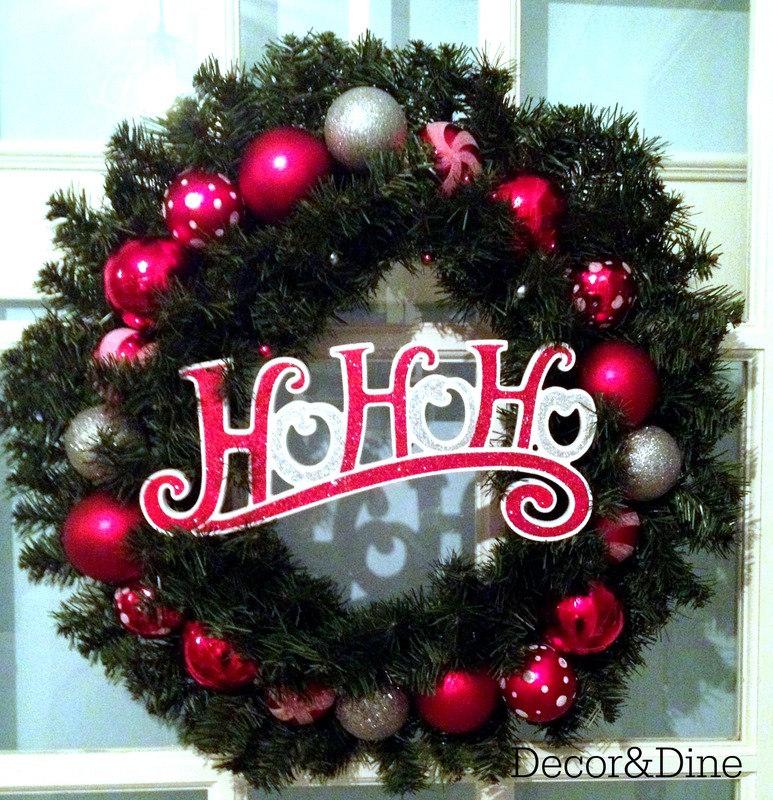 I added the HOHOHO sign I purchased at the Dollar Store and used on my tree the previous year. Keeping it simple…going to try to have a stress free Christmas this year.